Guangzhou Chimelong (长隆) Holiday Resort is Guangzhou&apos;s top tourist attraction. The scale and variety and quality of its many attractions makes it unique in China. 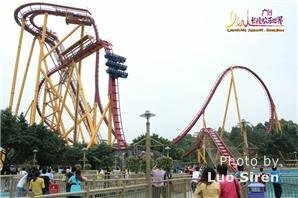 China&apos;s second or third most popular theme park though it only opened in 2006, and it might be worth a special trip even from Hong Kong or Macau if you really enjoy animals, circuses or fun rides. It is quite unusual to have two or three world-class entertainment and amusements, the big safari park, a world-class circus, and Asia&apos;s largest water park together with other interesting sections of the park all in one big place. For its quality and diversity, this resort and amusement park and zoo might be unique in Asia. Most tourists consider the safari park/zoo the best in Asia, and they rank the circus as among the best in the world and the best in Asia. Guangzhou Chimelong is Very Popular! 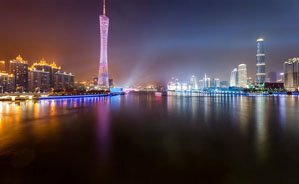 It is Guangzhou&apos;s top tourist attraction. The scale and variety and quality of its many attractions makes it unique in China. It might be worth a special trip even from Hong Kong or Macau. 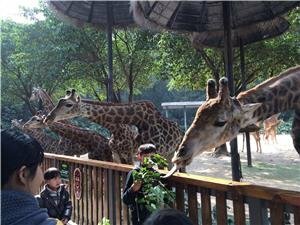 Chimelong Safari Park is rated #1 for Things to Do in Guangzhou on Trip Advisor . Chimelong Circus is rated #2. The amusement park with thrill rides is rated #7. Chimelong Paradise is an amusement park with some world-class rides and covers about 60 acres. Much of the design and technology for the rides are imported from Europe. The vertical roller coaster is considered one of the world&apos;s best roller coasters. The ten-looped roller coaster has been mentioned by Guinness World Records, and it is the first of its kind in Asia and second of its kind in the world after the one in the England. Chimelong Water Park is the largest in Asia according to White Water company. It has some world-class rides and has received awards. It&apos;s daily attendance is about the highest in Asia. Chimelong Water Park is not only the largest single waterpark development in Asia, but it is also arguably the most modern, with what general consultant Alan Mahony describes as “possibly the most expensive ride package in the world". Covering an area of 40,000 square kilometers, Chimelong Water Paradise is one of the world&apos;s largest. The park is the favorite of kids and families. 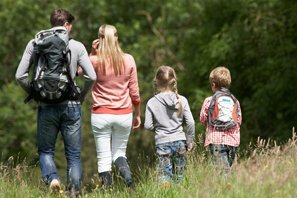 Around 70% of its visitors are families with kids. There are various water-slide and water activities that give visitors of all ages great fun. In addition, the park possesses a 1,280-meter floating river, the longest in the world, and many slides for kids. The surroundings of the park have been landscaped like a subtropical garden with subtropical plants and flowers. There are about 100 professional lifeguards patrolling the park to ensure the safety of visitors. The Safari park/zoo features cart rides and walks past animals that are let to roam around. It covers about 130 hectares (320 acres), and is the biggest animal safari theme park in China. Some of the animals can be touched. 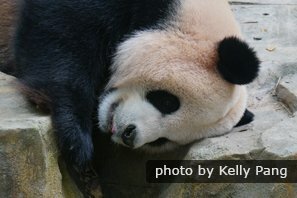 There are more pandas than anywhere outside of Chengdu. 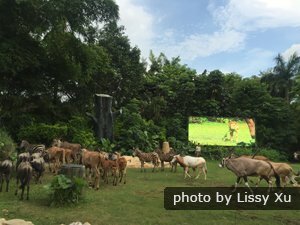 Guangzhou Safari Park integrates the protection, research and breeding of animals and plants with sightseeing and education. The wild animals are kept on a large, open area which visitors can drive through to get a close look. It is the largest wildlife park in Asia. There are over 460 rare and endangered species and over 20,000 animals from all over the world including 13 Australian koalas, 10 giant pandas and Honduras anteaters. In addition, there are five animal shows of which the white tiger show is the largest of its kind worldwide. The safari park is divided into two zones: one for walking through and one for traveling by bus. The riding zone is the first of its kind in the country. Visitors can opt for a train ride or for self-driving through the forests and grassland and experience the excitement of close contact with wild animals. Visitors will be amazed at white tigers roaming in their territory (the white tiger area is the largest in the world) and flocks of giraffes, zebras and antelopes wandering around in the grassland and highland of the South Africa area. The Crocodile Park is the biggest crocodile farm in the world with 100,000 of them. It is a theme park which integrates crocodile watching, an ecological farm, animal shows, and science education. They might have about 70% of all the crocodiles in China. 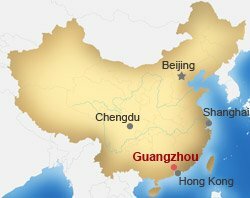 There are Chinese alligators (a very valuable species), ferocious estuarine crocodiles, eyed crocodiles, and duck-mouthed crocodiles. In the park, visitors can also watch the life cycle of crocodiles, learn the method of making crocodile skins, pick fruits and vegetables in the ecological park, and enjoy delicious crocodile dishes in one of the restaurants in the park. Chimelong Golf Center is one of the world&apos;s largest golf practice centers and covers an area of 400,000 square kilometers. 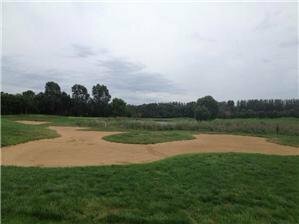 There are over 50 fairways for teenagers and beginners and more than 100 private fairways of international standard. There are also several normal greens and an extra large green that can accommodate up to 3,000 people. Chimelong International Circus might be the most exciting part. It has the largest circus stadium in the world. 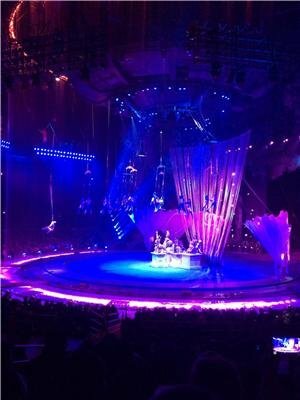 Chimelong keeps up with the current trends of the world&apos;s circuses, and they constantly bring spectators the newest circus programs from around the world. 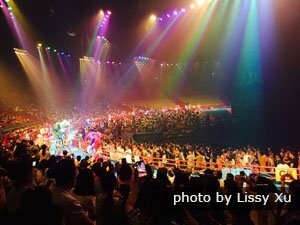 Since its commencement, Chimelong International Circus has staged three highly successful shows. The most recent grand show, Forest Code, is a combination of styles of Eastern and Western circuses. Chimelong has initiated spectacles that are performed by herbivorous and carnivorous animals together, and its show performed by 13 bears is something special. There is an hour and half long comedic, musical, acrobatic, and performing animal show. The acrobatics are about the best in China, but the unusual performing animals puts the show in a class by itself. It is on Dashijie Street in Fanyu District. Using Subway Line 3, alight at the Hanxi Changlong Station. Bus 304 can take you directly to the Safari Park. Walk 300 meters from Xiangjiang Zoo Station (can be reached via bus 301 and 288 from the town) to the main entrance of the park. We can help make a visit to Chimelong conveniently with our skills, contacts, and resources. Contact us for a quote on the kind of tour you&apos;d like, and we can provide private drivers and arrange tickets, etc. We specialize in tailor-making tours of China to customers’ requirements. Recommended tour: Four-Day Essence of Guangzhou and Shenzhen Tour Tell us how to modify this. 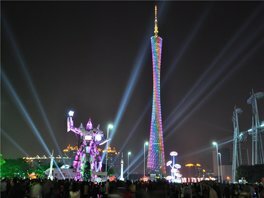 See our Guangzhou tours, or contact us to design your own.